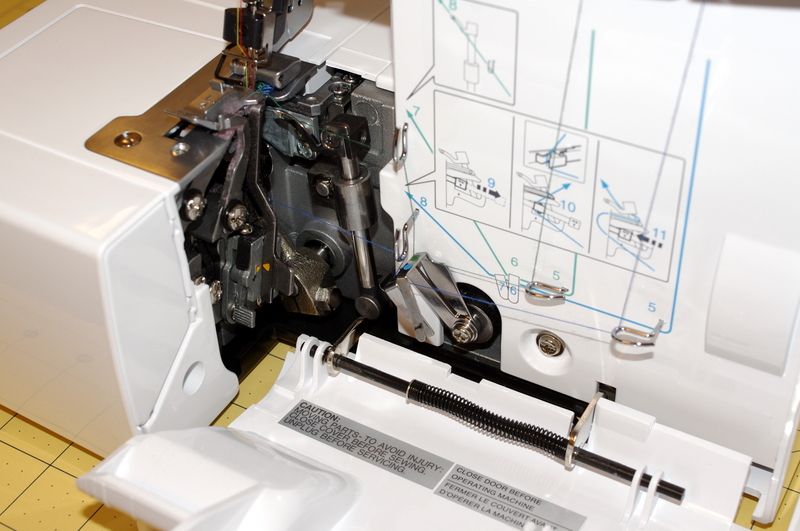 Sergers can be a sewers best friend. I too own a brother, two of them…and 3 other machines as well. 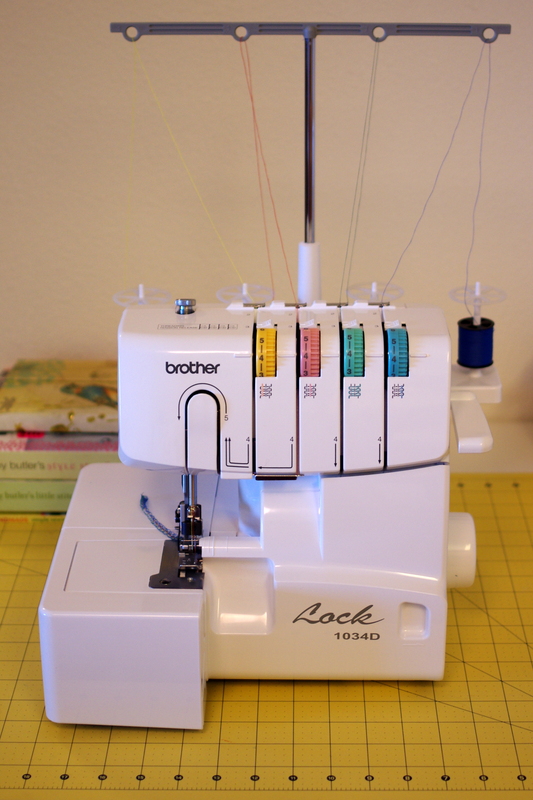 A quick tip on threading…When you need to change colors, or just rethread in general, clip the threads at the spools, tie on new color, than grab all threads behind presser foot, press the tension release buttons at the top of the machine while you pull threads through. 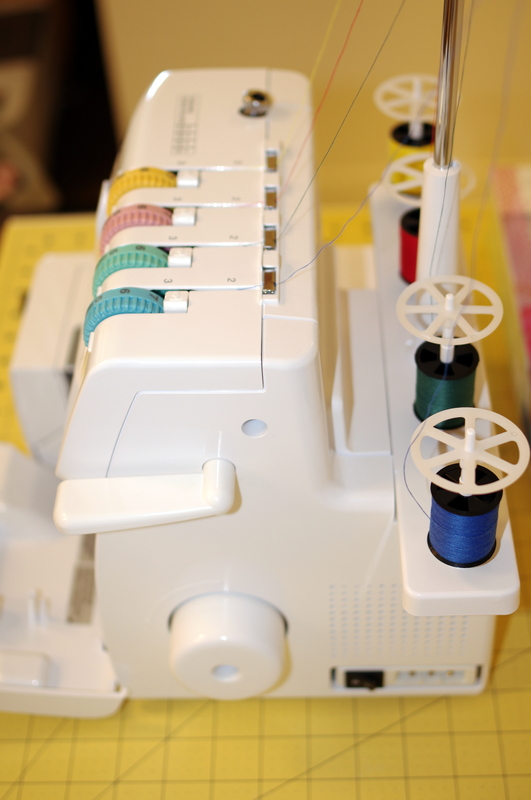 The only thread that will not pull completely through will be your needle thread (the knot will get in the way). 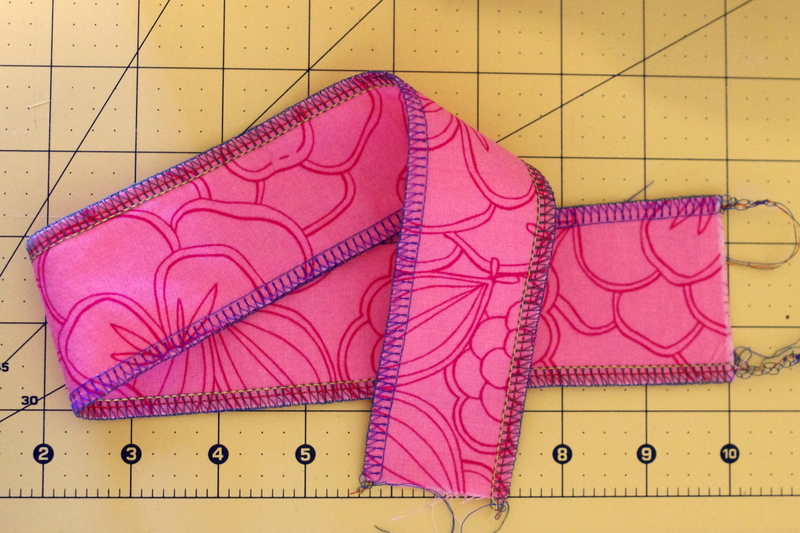 You will have to snip the knot at the needle and thread by hand. Thanks for the tip! This will make the rethreading process much easier. I’m officially jealous! My birthday is a few months away, maybe I can start dropping hints!